The Counseling Cell enables students to come to terms with issues and to make healthy decisions affecting their lives. The CC helps to create conditions that will cause students to solve a specific problem or to understand and /or improve her behaviour, character, values and life circumstances. Counselling programmes are run through individual sessions with students and follow up sessions. Parents are involved in the process if the need so demands. 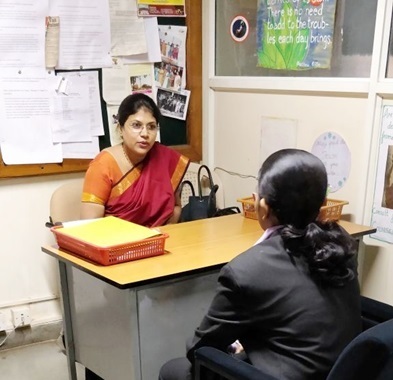 The college counsellor is actively involved in the students’ lives on campus and regularly speaks to those parents whose wards have a shortage of attendance.